In our ongoing series centering on fundraising and event development, Angie Carmignani, Executive Director of The Taylor Family Foundation, teams up with Ted Sortwell Clement, Jr., Executive Director of Save Mount Diablo to share practical steps to aid you in “hitting a home run” with your next event! 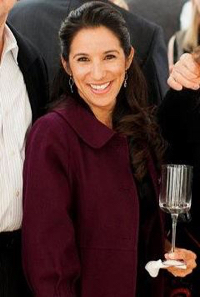 Angie serves the The Taylor Family Foundation (TTFF) as Executive Director, initially joining the organization in 2001 as Operations Director. Angie oversaw and managed the construction of TTFF’s Camp Arroyo in Livermore, CA, as well as currently coordinates the organization’s staff, strategy, maintenance and day-to-day business operations. Under Angie’s expertise, the Foundation’s annual fundraising event Day in the Park, A Food and Wine Music Festival is well-known as one of the region’s most successful and popular annual fundraising events. 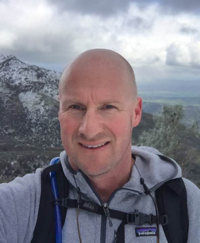 Edward “Ted” Sortwell Clement, Jr.
Ted currently serves as the Executive Director of Save Mount Diablo. Ted’s work in environmental stewardship began with serving the Outward Bound School in Maine, the Peace Corps in Thailand and the Vermont Land Trust. A licensed attorney, Ted’s commitment to working in land conservation organizations continued at the Aquidneck Land Trust as Land Protection Director and also as Executive Director. He subsequently served the Hawaiian Islands Land Trust as Executive Director until 2015, when he took the helm as Executive Director for Save Mount Diablo in the Bay Area’s Contra Costa County region.